Not a bad first taste of Washington and the first day of a week roadtrip to British Columbia! The trip started in Sacramento on Friday, August 16th. Darin met me at my house and we departed after work, picking up Diane after she finished work in Davis. 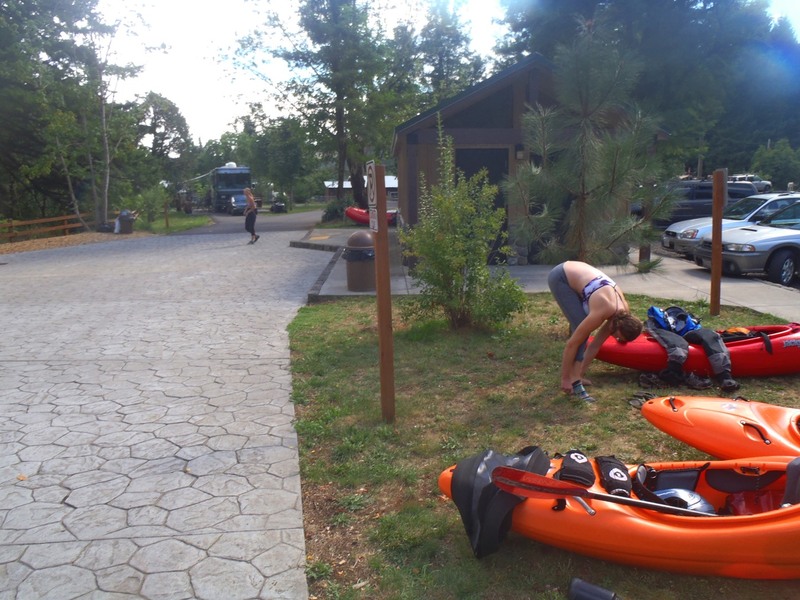 The first night we made it to Bend Oregon before we decided to pull over and sleep a mile off of the highway. 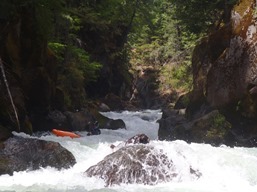 We had decided the day before to split up our drive, rather than driving all of Saturday, to head to a friends in White Salmon and boat the White Salmon and crash at our friends place. 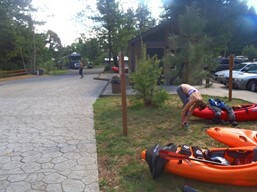 So, as Saturday morning came we got to leisure tour it a little and stopped at a Black Bear diner for breakfast before pushing on, arriving at the river around 1 pm. For years I have seen video of Big Brother and Double Drop. 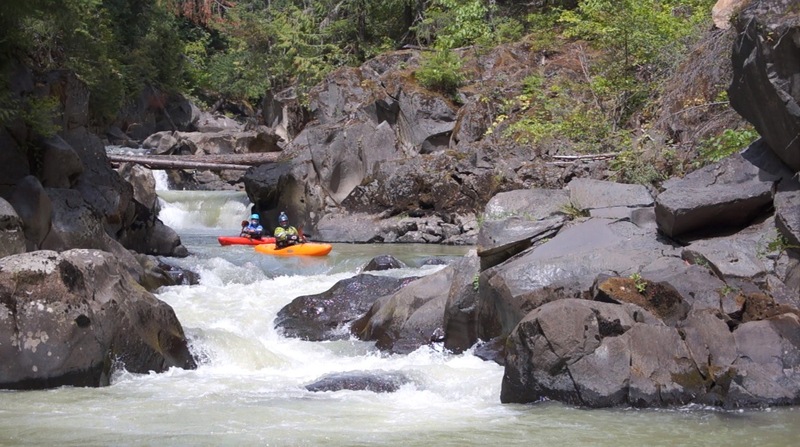 But for whatever reason, I never motivated to drive the 10 hours to run any of the White Salmon area rivers. 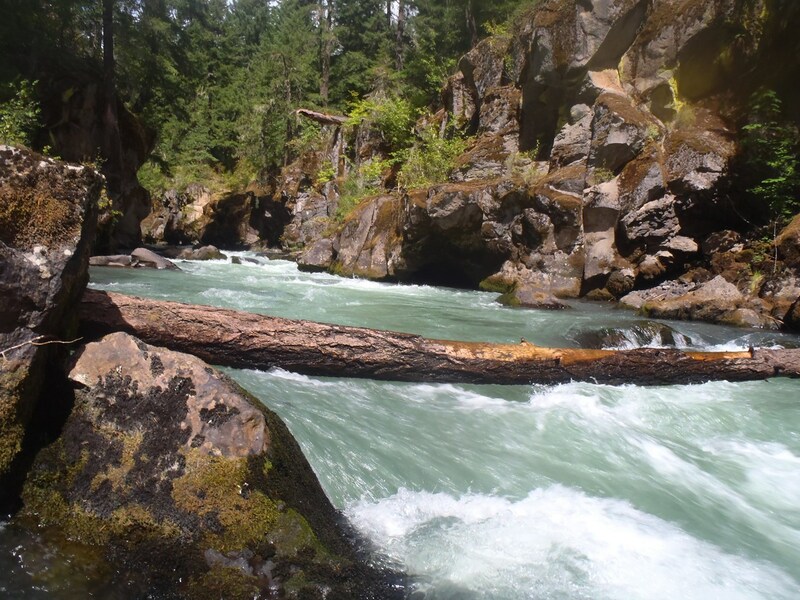 I have to say, that even though we had a low flow of 1.8 ft on the Husum gauge, this river quickly put a taste in my mouth for what Washington has to offer. I certainly need to get back there in the Spring when more creeks are running. 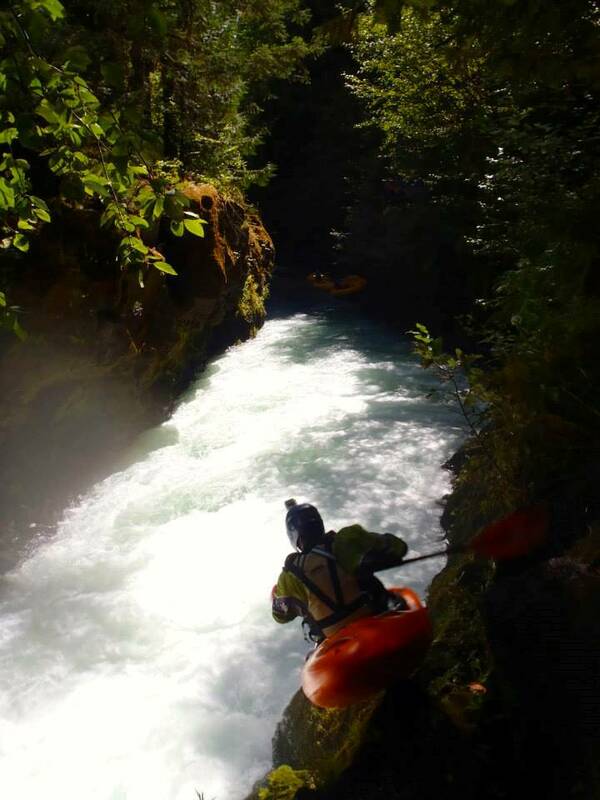 Unique scenery of volcanos and springs coming from the side of the rivers only add to the quality whitewater captured within the streambed. 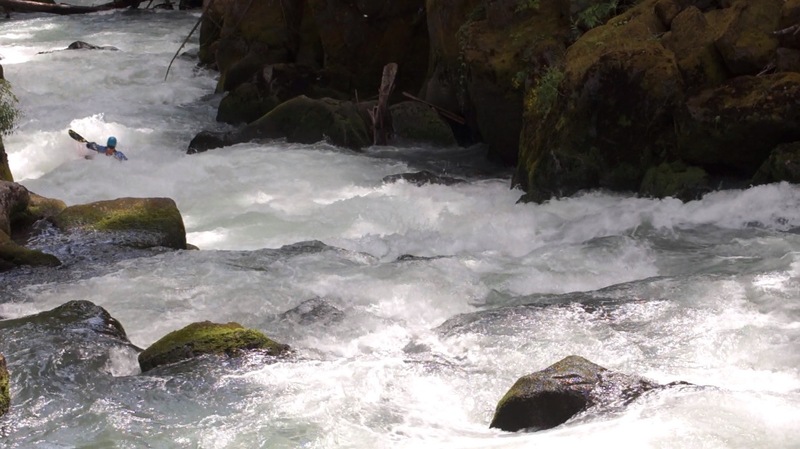 The river itself starts with some mellow warm-up that starts as class III before becoming class IV. This leads down to the first few ledges which can be easily scouted. I imagine as the flow comes up some of these start to pack a punch. Before long you arrive at Big Brother, the main attraction for many of the folks who come to the White Salmon. Big Brother is a drop that is commonly run at high flows and low flows… but in the medium flows is commonly walked. 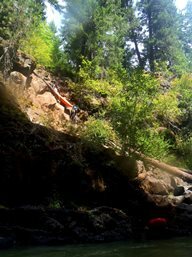 The danger is the cave that has claimed one life in the landing on the right. At low flows it is less in play and less consequential, at high flows you can go left. If you get to run it, the feeling of boofing as hard as you can from this height is quite fun. Scout either side, portage on the left. Just below is another small waterfall, Little Brother, that is run on the left channel pointing right. 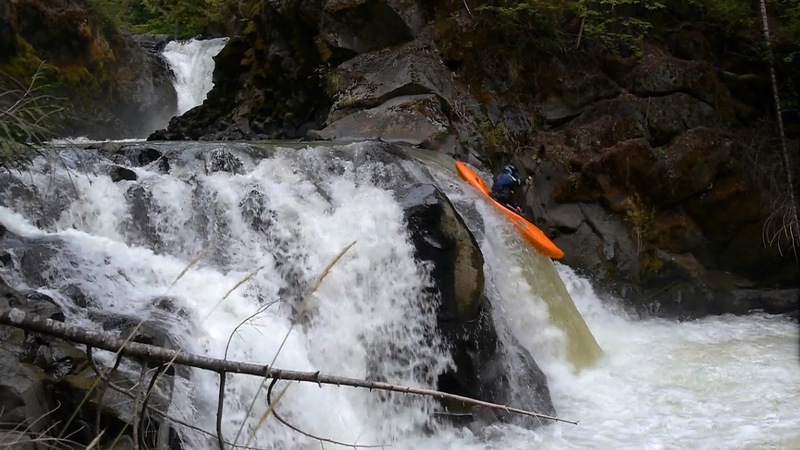 Below some boogie quickly leads to Double Drop, which can be scouted on the left. Below Double Drop things let off for over a mile, easing to class IV before you get to Upper and Lower Zig Zag. Both are prone to wood, so scout both before dropping in. Below, things again ease back up leading BZ falls. There are several class III-IV rapids leading to the lip of BZ, so scout early if you double your ability to catch a last minute eddy. 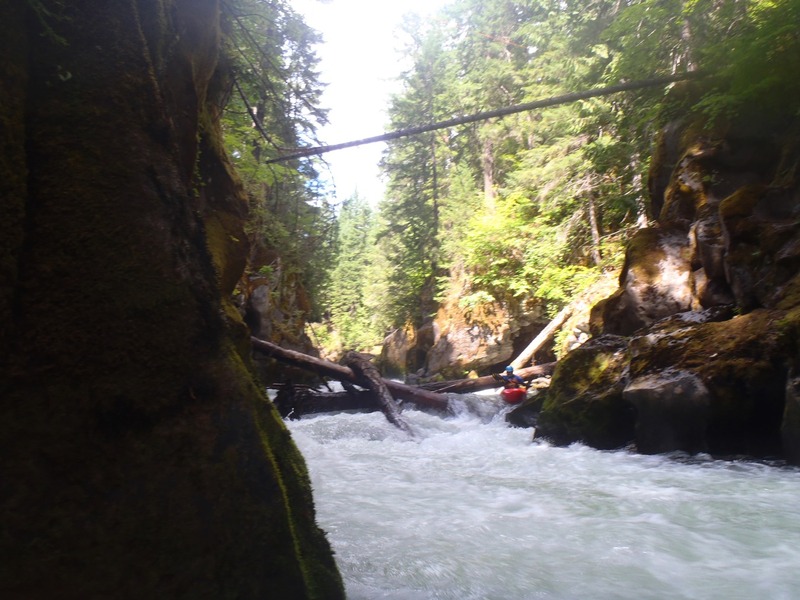 There is a trail along the rapid that rafters use. Below, the take-out comes quickly. This run lived up to its hype. I cannot imagine having a river like this that runs just about year round near me. Makes me think Portland would not be a bad place to relocate if I ever had to. 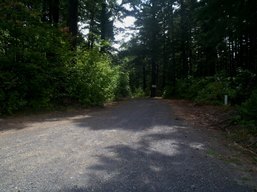 If you find yourself passing through, I highly recommend making the detour for a run down this section… you will not regret it. Boogie (III to IV). Several good boogie rapids start the day. They were all boat scoutable. The first bedrock rapid is 3 or 4 in and sported a small hole at the bottom, I would imagine this hole could get worse at higher flows. First Ledge (III to IV-). After a long boulder garden, there is the first ledge which is more of a small ramp to small boof. Scout right or run down the middle. Boof Left (IV). A large boulder splits the river, we ran down the left leading to a small boof. Bob's Hole (IV). This led to a nice double ledge. Run both down the right. Scout from the left. 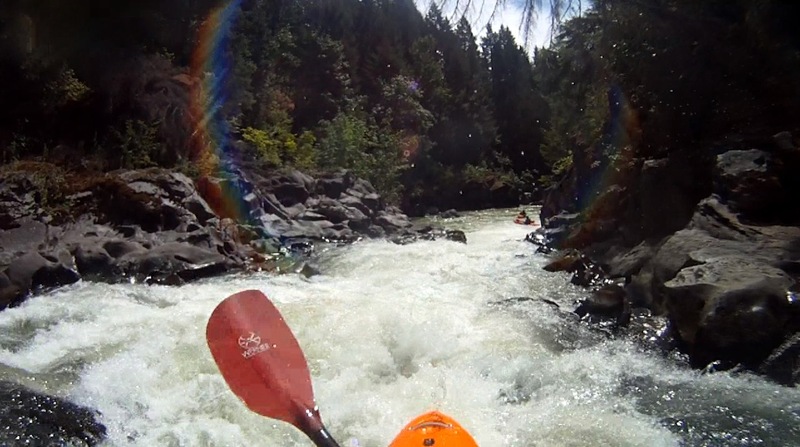 One rapid is downstream, a quick zig zag rapid before Big Brother. Big Brother (V). The main attraction, time to measure yourself and see if you want to bite this off. Big Brother has been featured in movies and photos for years, decades, literally. Scout on right or left. There is a portage around just Big Brother (with some rope work to downclimb) or both Big and Little Brother on the left. At medium flows folks are more likely to walk, when the right line is pushing too hard to the cave but not high enough that the left line opens up. At 1.8 we were firmly in the low flow zone and boof the right side off of the small flake. It is an interesting sensation for me to boof as hard as you can off something that is 25 some odd feet tall, not something I have done often. The idea is to land pointing left so you kick out away from the cave at the base. It is possible to set safety on the cave… and recommended. Little Brother (IV+). Just downstream is a ledge that is worth scouting on the right. It is 10 or so feet tall and has some recirculation on the left. Boof pointing right. Double Drop (V- to V). Scout and portage available on the left. 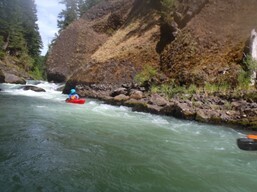 At higher flows doing anything other than plugging the first ledge is challenging. 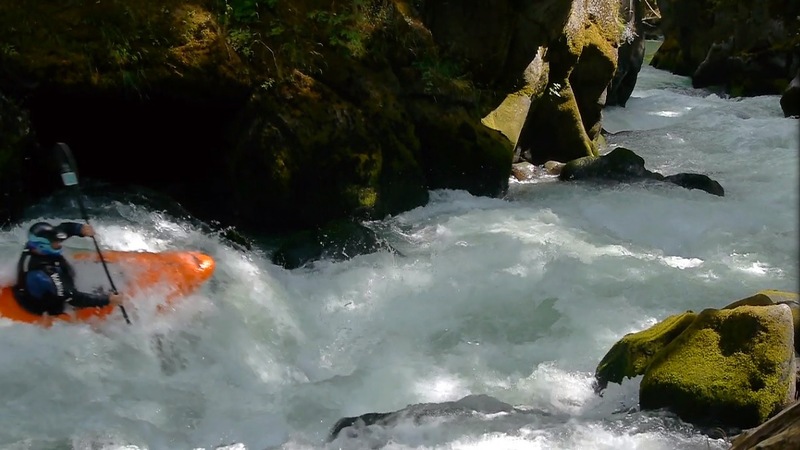 At low flows, anything other than plugging the bottom is challenging. 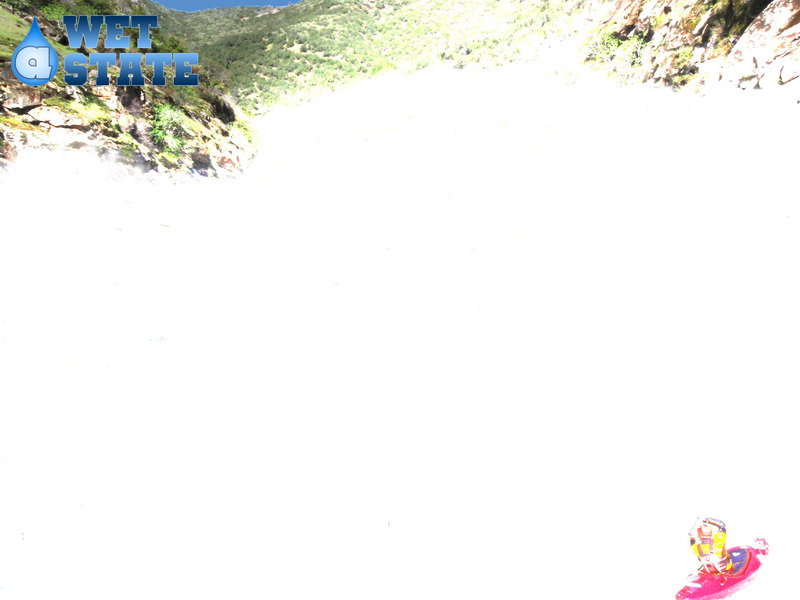 However, at low flow, the top gets a nice little nub that can be used to sale the first drop. It ends in a nice pool below. Just below the pool is another nice ledge that we ran left to right. Upper Zig-Zag (IV+ to V). 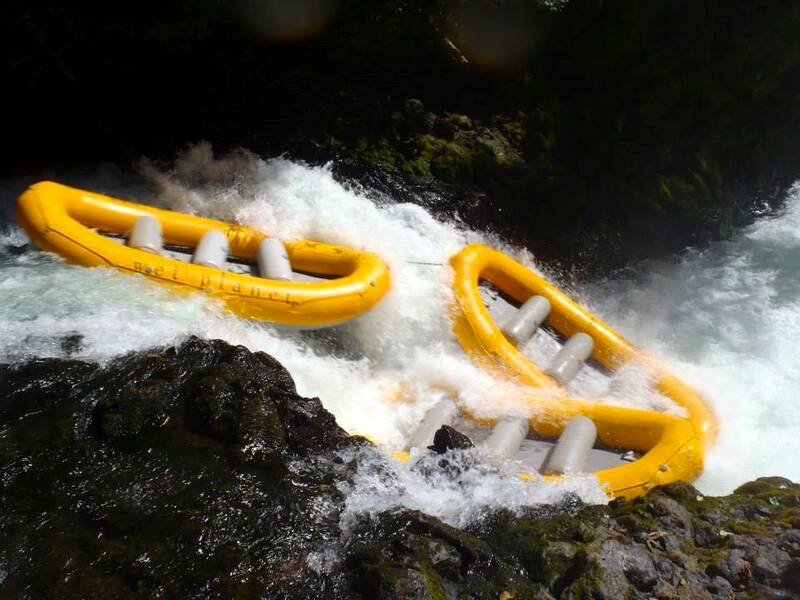 Both of these rapids are prown to getting wood, so if you are not familiar, you should scout them. Upper can be scouted on the right. The rapid basically just bends right, then left, and back and forth again. There was some wood at the very bottom on the left. But the obvious line was to the right… I would only really worry about it if the flow was higher or if I were swimming. Eddy out on the left just below to scout Lower. Lower Zig Zag (V- to V). 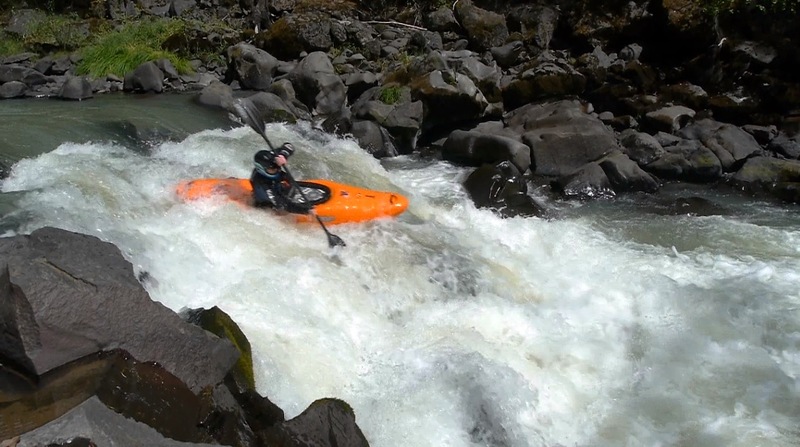 This rapid is easier than Upper, but the consequences are worse. In 2013 there was a log in the middle channel of the exit as well as a huge log jam just downstream. You do not want to be out of control on this one. 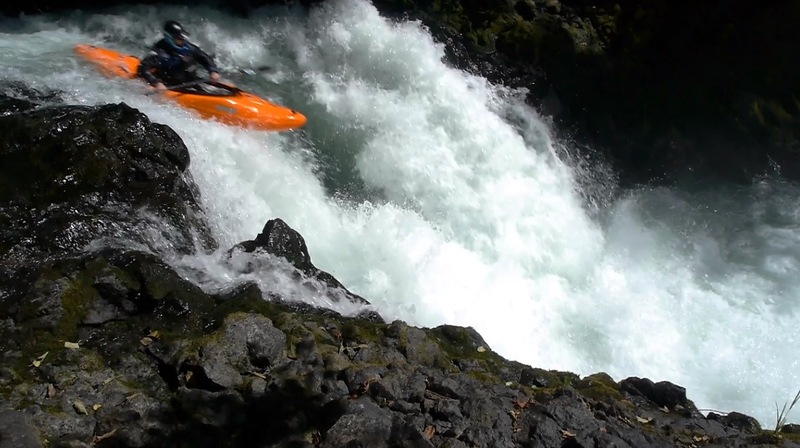 There is a ledge at the top that even at low flow packed a punch. Boof left around it. Below a ramp leads to a zag left, punch the hole and work right for the exit. 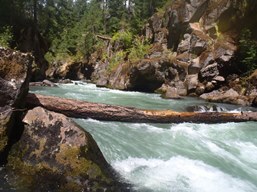 The log jam below can be ducked on the left at the low flow. Boogie (IV to IV+). 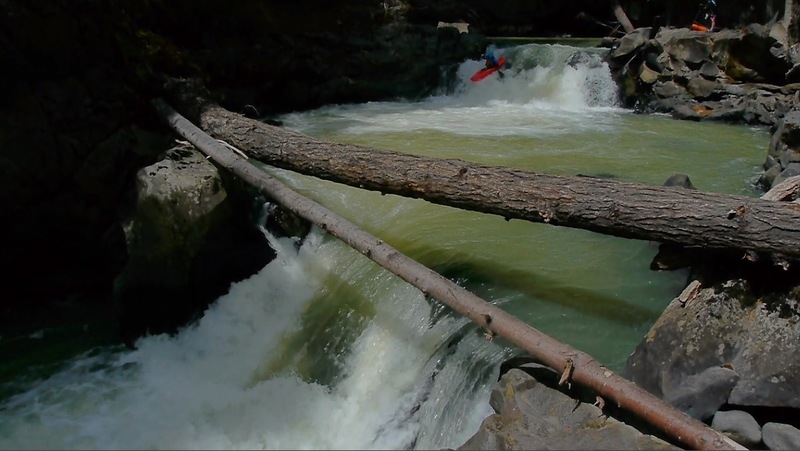 Lots of good boogie awaited downstream… In 2013 there was a log portage... but a few weeks later some boys went in and cut it out. Keep an eye out though, this river can have wood in any rapid. 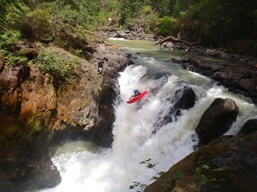 BZ Falls (V to V+). 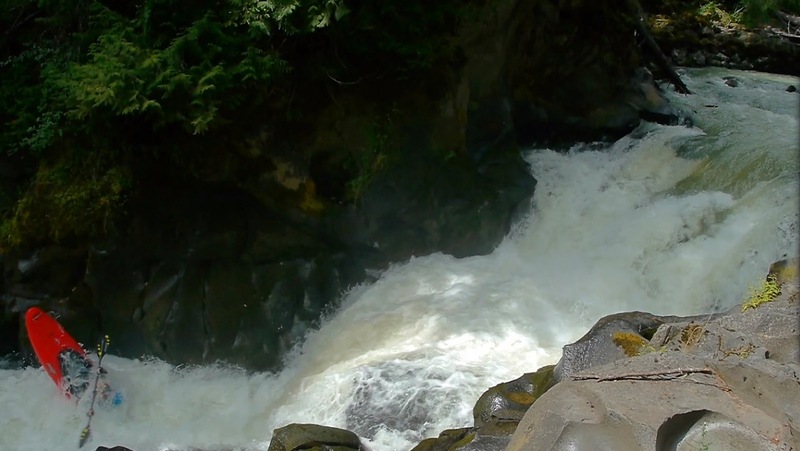 As the river bends right and you approach a series of small slides, you will notice the spray kicking up downstream. We eddy hoped down to the lip at the low flow. 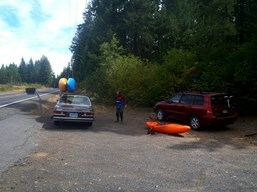 Using the trail we scouted, and Diane and I portaged. Darin ran the drop and had a good line, basically right down the gut center. You can portage and seal launch in on the right immediately at the falls or 100 feet downriver. Take-out is just around the corner. Take-out: From White Salmon, WA, take Highway 141 11.2 miles to the BZ Corner River Access. You can check the flow at Husum Bridge at the 7 mile mark. Put-in: Continue another 4.4 miles on Highway 141. In the middle of the second major clear cut, you will see a dirt road on the right with a mailbox on the highway. Park at the Highway opening. Walk 100 yards to the bridge. The trail down is off to the right just before the bridge. It is steep and usually requires some passing of boats, though there is also a permanent rope set there.